Góra Kalwaria, which belongs to the family of Polish pilgrimage calvaries, represents one of the most interesting Baroque architectural solutions. 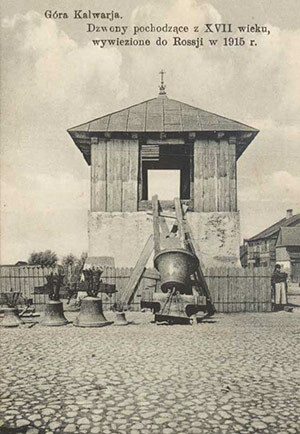 However, before the town became a place of worship, with monasteries of six congregations supervising five churches and 35 chapels, it was a small village located in the neighbourhood of Czersk, which was a powerful town during the Middle Ages. The first written record about Góra village dates back to 1252 and it comes from a document by Bishop Bogusław II. It endowed a parish church located in the village with a tithe from neighbouring villages. In 1666, the deteriorated village was sold by Górscy brothers and Anna Ciszewska Niemierzyna to Bishop Stefan Wierzbowski. He chose this beautifully situated place to transform it into New Jerusalem. He initiated his plan with the construction of monasteries and churches. In order to raise funds, he asked the Sejm to establish a special foundation. He imported Jerusalem soil packed in bags, which was then scattered along main routes of the village. In 1670, king Michał Korybut Wiśniowiecki granted Góra a town charter, since then it was called New Jerusalem. With this privilege, the residents were exempted from any taxes in order to support the town's development. 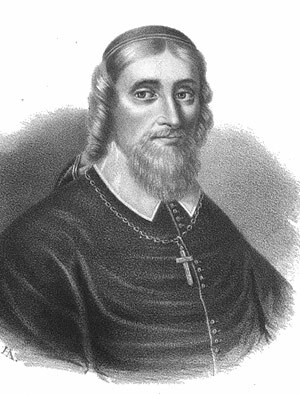 Two years later, the royal document was supplemented by bishop Wierzbowski. He arranged the town according to the Latin cross plan, with Pilate’s Chapel in the centre and Golgotha – a hill raised by the faithful – at the base. According to the bishop’s plans, the Passion Chapel with full-size figures was situated along the road leading to the Calvary. The funder did not allow people of other faiths to settle in the town. The privileges were confirmed and expanded by the following kings: Jan III Sobieski, August II Mocny, August III Sas and Stanisław August Poniatowski. After the founder’s death, the town began to deteriorate. When Góra Kalwaria came under the rule of Prussia as a result of the third partition of Poland in 1795, the church wealth was secularised. The government of Prussia allowed Jewish people to settle in the village. The area was also settled by German colonists, followers of the Evangelical Church. 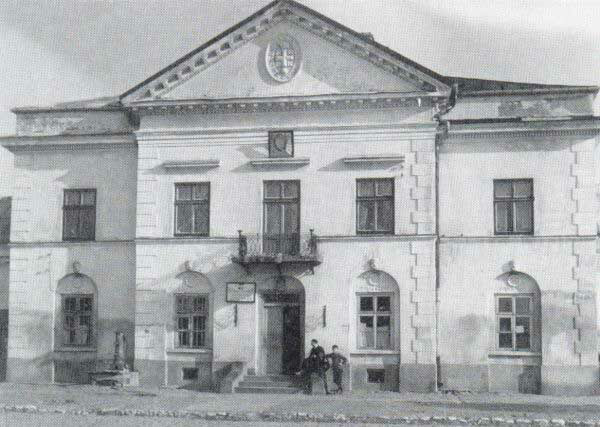 When Góra Kalwaria became part of the Polish Kingdom after Napoleon’s defeat, liquidation of orders was accelerated and the town was used as a base for tsarist troops. Before the November Uprising, Góra Kalwaria was a place of imprisonment for Walerian Łukasiński, a Polish patriot captured by the Russians. In 1883, the town was revoked a town charter for more than 30 years. Since the second half of the 19th century, Góra Kalwaria was a place of pilgrimages for Jews, particularly Hacids, due to the fact that the founder of the Alter tzadik dynasty settled in the town. Abraham Mordechaj, the most famous member of the dynasty, was the most eminent person among European orthodox Jews. In the period of the Second Polish Republic, his congregation constituted more than a half of the town’s population. During the German occupation, Jews were moved from Góra Kalwaria into the Warsaw ghetto. Tzadik left the town before the war, and he managed to get to Palestine with the help of his highly placed friends. 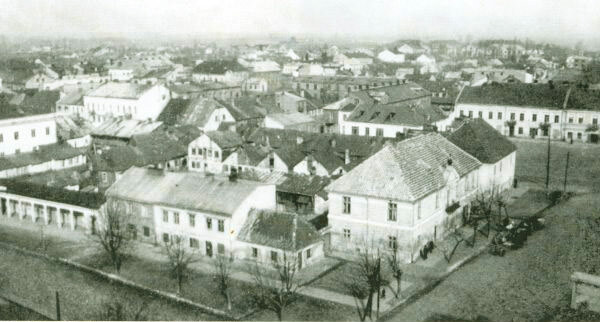 In 1991, the urban arrangement of the centre of Góra Kalwaria was entered in the register of monuments.